Someone at the Guardian named ten of the best unconsummated passions in fiction. It is easier to make non-consummation credible if you set the action in the past (see above). The "lovers" in Carey's novel, set in Victorian England and Australia, are a clergyman and a proto-feminist, making their union even more difficult to achieve. Also see: Top 10 works of literature: Peter Carey. The current feature at the Page 99 Test: Neptune Avenue by Gabriel Cohen. Very soon, though, that notion gets shot to hell, as the deeply principled cop hears about the murder of an old Russian friend on Neptune Avenue---and then is disturbed to find himself increasingly drawn to the man’s stunning widow, Eugenia. She informs Jack of her husband’s troubles with Semyon Balakutis, a local nightclub operator and extortionist. Meanwhile, a mysterious stranger in central Brooklyn is killing young women and posing them as suicides. From the Russian emigré community of Brighton Beach to the racially charged neighborhood of Crown Heights, from the crimes of World War II to the harshness of his own father, Jack’s latest cases plunge him deep into the roots of why men act in anger---and into the eternal mystery of love. Gabriel Cohen stuns in this riveting third addition to the Brooklyn-set series. Learn more about the author and his work at Gabriel Cohen's website. The Page 69 Test: The Graving Dock. My Book, The Movie: Red Hook. The Page 99 Test: Neptune Avenue. Now showing at My Book, The Movie: Standing Still by Kelly Simmons. My Book, The Movie: Standing Still. The current feature at the Page 69 Test: A Forthcoming Wizard by Jody Lynn Nye. Halfling Tildi Summerbee led a typical, unexciting life, tending the house for her brothers while they managed the family farm...until she was forced to assume the identity of her recently deceased brother and accept his position as apprentice to a great wizard. Now she is on an important quest where the lessons of her apprenticeship pale in comparison to those learned in life-or-death situations. She has become the guardian of a very special book that can alter everything in existence… a race of centaurs gone with an editor’s pen, a mountain range flattened with a revised rune, and life as Tildi has known it changed in the blink of an eye. Gone are her preconceptions of society and order. Gone are her trusting ways and belief in her superiors’ honesty. But also gone is the shrinking violet smallfolk who masqueraded as a boy to secure an apprenticeship. Tildi has changed too, and she realizes that the fate of the world rests in her hands. Read an excerpt from A Forthcoming Wizard, and visit Jody Lynn Nye's homepage. Jody Lynn Nye is the author of many books and stories, including a series written with Anne McCaffrey and another with Robert Asprin. The Page 69 Test: A Forthcoming Wizard. The current featured contributor to Writers Read: Nicholas Rombes, whose books include Cinema in the Digital Age (Wallflower Press / Columbia University Press) and the forthcoming A Cultural Dictionary of Punk: 1974-1982, (Continuum, June 2009. He is professor and Chair of English at the University of Detroit Mercy. I used to make distinctions between academic and non-academic reading, but not any more. Over the past few years, I've found that most all good writing, on some level, is a form of theory, whether it be Nathaniel Hawthorne's Pierre, or Mark Danielewski's House of Leaves. Both of those books, in particular, are novels, but also theories about the forging together of arbitrary signs in order to create the illusion of reality. But right now, I'm still working my way—in fits and starts—through William T. Vollmann's mammoth, seven-volume study of viole nce Rising Up and Rising Down, published in 2003 by McSweeney's books. Right now I'm on "The Moral Calculus" Vollmann's recklessly, brutally, not-so-funny attempt to logically, empirically, almost mathematically answer the question, "When is Violence Justified?" Sections include "When is Violent Defense of Honor Justified?" and "When is Violent Defense of Race and Culture Justified?" Vollmann is one of those writers tagged as "postmodern" in the sense that his excessiveness seems to be a strategy for coping with and encompassing the sheer size of reality. Visit Nicholas Rombes's websites for Cinema in the Digital Age and A Cultural Dictionary of Punk: 1974-1982. The current feature at the Page 99 Test: Allegra Huston's Love Child: A Memoir of Family Lost and Found. When Allegra Huston was four years old, her mother was killed in a car crash. Soon afterward, she was introduced to an intimidating man wreathed in cigar smoke -- the legendary film director John Huston -- with the words, "This is your father." So began an extraordinary odyssey: from the magical Huston estate in Ireland to the Long Island suburbs to a hidden paradise in Mexico -- and, at the side of her older sister, Anjelica, into the hilltop retreats of Jack Nicholson, Ryan O'Neal, and Marlon Brando. Allegra's is the penetrating gaze of an outsider never quite sure if she belongs in this rarefied world and of a motherless child trying to make sense of her famous, fragmented family. Then, at the age of twelve, Allegra's precarious sense of self was shattered when she was, once more, introduced to her father -- her real one this time, the British aristocrat and historian John Julius Norwich. At the heart of Love Child is Allegra's search through the unreliable certainties of memory for the widely adored mother she never knew -- the ghost who shadowed her childhood and left her in a web of awkward and unwelcome truths. With clear-eyed tenderness, Allegra tells of how she forged bonds with both her famous fathers, transforming her mother's difficult legacy into a hard-won blessing. Beautifully written and forensically honest, Love Child is a seductive insight into one of Hollywood's great dynasties and the story of how, in a family that defied convention, one woman found her balance on the shifting sands of conflicting loyalties. Read an excerpt from Love Child, and learn more about the book and author at Allegra Huston's website. The Page 99 Test: Love Child. Back in 2005 the novelist Tiffany Murray named her top ten "books that deal in the murky and contrary depths of dark humour" for the Guardian. No such list could begin without Gorey. If you want the lot in paperback there is nothing wrong with these two collections, although the individual Bloomsbury volumes are hard to resist. Fall in love with 'The Uninvited Guest', and for all visiting children leave out 'The Gashlycrumb Tinies': "M is for Maud who was swept out to sea, N is for Neville who died of ennui ... ". See also Strulwwelpeter by Dr. Heinrich Hoffmann (my mother's favourite), Tim Burton's The Melancholy Death of Oyster Boy, and anything by David Shrigley. Read about another title on Murray's list. The current feature at the Page 69 Test: The Unknown Knowns by Jeffrey Rotter. Jim Rath's wife has grown tired of his hobbies: his immaculately maintained comics collection, his creepy underwater experiments, and his dreams of building a museum based on the Aquatic Ape Theory of Human Evolution. On the night that she leaves him, Jim thinks he has spotted an emissary from a lost aquatic race called the Nautikons. In truth, the man is a low-level agent of the Department of Homeland Security. What follows is a riveting story of two quixotic men who stalk each other toward a bloody showdown -- a spectacularly moronic act of terrorism at an aging water park. The Unknown Knowns -- its title is a reference to a quote from former defense secretary Donald Rumsfeld -- is a brilliant send-up of the insidious language and sometimes tragically comic focus of our country's Homeland Security Department. Combining the social satire of Kurt Vonnegut with the paranoid delusions of Thomas Pynchon, Rotter takes everyday domestic fixations and turns them into a hilarious assessment of the human condition. Fresh, imaginative, and deft, The Unknown Knowns marks the arrival of a unique new voice in literary fiction. Read an excerpt from the novel and learn more about Jeffrey Rotter at The Museum of the Aquatic Ape. Jeffrey Rotter holds an MFA from Hunter College where he studied under Peter Carey, Colson Whitehead, Colum McCann, and Andrew Sean Greer and was awarded the Hertog fellowship to perform research for Jennifer Egan. He lives in Brooklyn with his wife and young son. The Unknown Knowns is his first novel. The Page 69 Test: The Unknown Knowns. 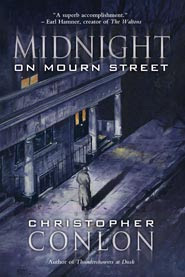 The current featured contributor to Writers Read: Christopher Conlon, author of three books of poems, two collections of stories, and a novel, Midnight on Mourn Street, which has been nominated for the Bram Stoker Award in the category of Superior Achievement in a First Novel. He has also edited several books, including Poe's Lighthouse and He Is Legend: An Anthology Celebrating Richard Matheson. Visit Christopher Conlon's website and blog. At the Guardian, John Mullan named ten of the best floggings in fiction. The villainous, sadistic Le Chiffre is bent on nastiness to James Bond not only because he is a British agent but also because he has beaten him at baccarat. His men capture Bond and take him to his villa, where he tortures him with a cane carpet beater. Fleming is clinically precise about the effects. Read about another flogging on Mullan's list. Casino Royale also made Meg Rosoff's top 10 adult books for teenagers list and Peter Millar's critic's chart of top spy books. The current feature at the Page 99 Test: Grimoires: A History of Magic Books by Owen Davies. No books have been more feared than grimoires, and no books have been more valued and revered. In Grimoires: A History of Magic Books, Owen Davies illuminates the many fascinating forms these recondite books have taken and exactly what these books held. At their most benign, these repositories of forbidden knowledge revealed how to make powerful talismans and protective amulets, and provided charms and conjurations for healing illness, finding love, and warding off evil. But other books promised the power to control innocent victims, even to call up the devil. Davies traces the history of this remarkably resilient and adaptable genre, from the ancient Middle East to modern America, offering a new perspective on the fundamental developments of western civilization over the past two thousand years. Grimoires shows the influence magic and magical writing has had on the cultures of the world, richly demonstrating the role they have played in the spread of Christianity, the growth of literacy, and the influence of western traditions from colonial times to the present. Through his enlightening and extraordinary account, we see how these secret books link Chicago to ancient Egypt, Germany to Jamaica, and Norway to Bolivia, and grasp how the beliefs of Alpine farmers became part of the Rastafarian movement, how a Swede became the most powerful wizard in early America, and how a poor laborer from Ohio became a notorious villain in his own country and a mythical spirit in the Caribbean. Despite religious condemnation and laws barring their use, the grimoire has survived to the present day, and not just in Harry Potter films and Broadway's Wicked. Here is a lively and informative history of a genre that holds a powerful fascination for countless readers of the occult. Learn more about the book at the Oxford University Press website. Owen Davies is Professor of Social History at the University of Hertfordshire. His most recent books are The Haunted: A Social History of Ghosts (2007) and Murder, Magic, Madness: The Victorian Trials of Dove and the Wizard (2005). See Davies's list of the top ten grimoires. The Page 99 Test: Grimoires. Today's feature at the Page 69 Test: Dope Thief by Dennis Tafoya. Ray and his best friend, Manny, close ever since they met in juvie almost twenty years ago, have a great scam going: With a couple of fake badges and some DEA windbreakers they found at a secondhand store, they pose as federal agents and rip off small-time drug dealers, taking their money and drugs and disappearing before anyone is the wiser. It’s the perfect sting: the dealers they target are too small to look for revenge and too guilty to call the police, nobody has to die, nobody innocent gets hurt, and Ray and Manny score plenty. But it can’t last forever. Eventually, they choose the wrong mark and walk out with hundreds of thousands of dollars, and a heavy hitter, who is more than willing to kill to get his money back, is coming after them. Now Ray couldn’t care less about the score. He wants out---out of the scam, out of a life he feels like he never chose. Whether the victim of his latest job---not to mention his partner---will let him is another question entirely. Dennis Tafoya brings a rich, passionate, and accomplished new voice to the explosive story of a small-time crook with everything to lose in Dope Thief, his outstanding hardboiled debut. Learn more about the book and author at Dennis Tafoya's website. Dennis Tafoya was born in Philadelphia and attended Oberlin College. He dropped out and worked a series of jobs, including housepainter, hospital orderly and EMT before starting a career in industrial sales. He began writing poetry, publishing stories in journals, and then started work on Dope Thief, his first novel. The Page 69 Test: Dope Thief. Andre Dubus III, a National Book Award finalist for his novel House of Sand and Fog, is the author of most recently of The Garden of Last Days, a story of terrorists in Florida. A BOOK I FREQUENTLY RETURN TO: "The Sun Also Rises" by Ernest Hemingway. Honest, wounded, naked, yet ironic. A BOOK YOU HOPE TO HAVE PARENTS READ THEIR CHILDREN: "Night Cars" by Teddy Jam and Eric Beddows. Written in the voice of a dream, one you have while drifting off in a safe, warm place. Read about Dubus' most essential books list. The Sun Also Rises came in at #6 on the American Book Review list of the 100 best last lines from novels. Now showing at My Book, The Movie: Takeover by Lisa Black. My Book, The Movie: Takeover. The current featured contributor to Writers Read: Jill Kargman, author of the novels Momzillas and The Ex-Mrs. Hedgefund, and co-author (with Carrie Karasyov) of The Right Address and Wolves in Chic Clothing. "Kargman...went for Wall Street’s jugular in her latest work. The delightful—if frighteningly pampered—divorcée protagonist Holly finds a happier life outside the fiscal shallows after busting her naughty husband for having an affair with a Williamsburg girl." A "lively chronicle of a queen of ka-ching who ditches her hedge fund manager hubby.... Effervescent Holly's romp through wealthy Manhattan is a gleeful little bonbon." Kargman "describes a world of unimaginable extravagances, but the novel’s true heart is Holly and Kiki’s unwavering friendship. Readers will also appreciate an epilogue that addresses the current economic woes and gives the greedy hedge funders their comeuppance." Find out about one of Kargman's literary enthusiasms at Writers Read: Jill Kargman. The current feature at the Page 99 Test: The Invisible Hook: The Hidden Economics of Pirates by Peter T. Leeson. Read an excerpt from The Invisible Hook, and learn more about the author and his work at Peter T. Leeson's website and his group blog, The Austrian Economists. The Page 99 Test: The Invisible Hook. For the Wall Street Journal, Lynne Sharon Schwartz named her favorite novels featuring characters on the edge. Doris Lessing has always had her eye on the big picture -- so big that in some of her later works she has ventured into outer space. Her novella "The Fifth Child" is set firmly on Earth but continues Lessing's lifelong preoccupation: Whither humanity? Part fable, part cautionary tale, part social satire, it tells of a self-satisfied young couple who decide to rear a large family. All goes according to plan until the fifth pregnancy. Even in utero, Ben is abnormally restless; at birth, he resembles a goblin. Before long, his malice and violence become a danger to his siblings. He's not quite human, his once smug parents are forced to admit, but a throwback to a primitive era -- a wayward gene erupting into cozy upper-middle-class life. This chilling tale of a family's destruction by the evil lurking within is unforgettable, written in ink laced with acid. Read about Number One on Schwartz's list. The current feature at the Page 69 Test: Figures in Silk by Vanora Bennett. From the author of the acclaimed novel Portrait of an Unknown Woman comes an epic tale of love and intrigue. The year is 1471. Edward IV, who won the throne with the help of his brother, Richard, Duke of Gloucester, is restoring law and order after years of war. Under Edward IV, life in England begins to improve. Business is booming once more and the printing and silk industries prosper in London. When silk merchant John Lambert marries off his two beautiful daughters, their fortunes are forever changed. Elder daughter Jane Shore begins a notorious liaison with the king while industrious and clever Isabel finds herself married into the house of Claver, a wealthy silk dynasty. Fate delivers Isabel a challenge when her new husband is killed and she is forced into apprenticeship to her mother-in-law, Alice Claver. It is from Alice Claver that Isabel learns to love silk and the exotic and passionate fabrics from Italy, Persia, Spain, Tunisia, and beyond. Isabel learns to make her way in this new world of silk—to find friends and enemies—and she strikes an alliance with her sister's lover, King Edward IV, that will bring the secrets of silk-making to London. As Isabel grows in power and her plan for a silk industry run by Englishwomen is set into motion, the political landscape shifts in dangerous ways. One sister will fall as the other rises and choices must be made that will change their lives forever. Browse inside Figures in Silk, and learn more about the author and her work at Vanora Bennett's website. Vanora Bennett is the author of two works of nonfiction, Crying Wolf: The Return of War to Chechnya and The Taste of Dreams: An Obsession with Russia and Caviar. In the US, her novel Portrait of an Unknown Woman was selected as one of Book Sense's ten recommended Picks for April 2007 and was recognized by Barnes & Noble's Discover Great New Writers program. The current featured contributor to Writers Read: Ari Y. Kelman, author of Station Identification: A Cultural History of Yiddish Radio in the United States. Ari Y. Kelman is Assistant Professor of American Studies at the University of California, Davis. "Station Identification represents a valuable and unique contribution to radio studies scholarship and to the cultural history of Yiddish in the United States. 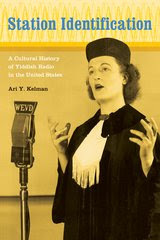 Ari Y. Kelman unearths the hitherto forgotten 'acoustic community' of Yiddish radio and demonstrates with impressive archival research that the story of Yiddish radio in the U.S. is inextricably woven together with the origins of American broadcasting. Uncanny and haimish, local and national, bilingual and ambivalent, Yiddish radio, like much early broadcasting, is the story of an audience tuning in to hear voices like their own." Learn more about Station Identification at the University of California Press website, and visit Ari Y. Kelman's faculty webpage. Writers Read: Ari Y. Kelman. The current feature at the Page 99 Test: The Garden of Invention: Luther Burbank and the Business of Breeding Plants by Jane S. Smith. As the United States moved from a nation of farms to a nation of city dwellers, the people behind the new products that transformed daily life were admired with a fervor that is not accorded to their present-day counterparts. Everyone knew and marveled at Samuel Morse’s telegraph, Alexander Graham Bell’s telephone, and Thomas Edison’s electric light. And like these other great American inventors, Burbank was revered as an example of the best tradition of American originality, ingenuity, and perseverance. Burbank had learned the secret of teaching nature to perform for man, breeding and crossbreeding ordinary plants from farm and garden until they were tastier, hardier, and more productive than ever before. The Garden of Invention is neither an encyclopedia nor a biography. Rather, Jane S. Smith, a noted cultural historian, highlights significant moments in Burbank’s life (itself a fascinating story) and uses them to explore larger trends that he embodied and, in some cases, shaped. The Garden of Invention revisits the early years of bioengineering, when plant inventors were popular heroes and the public clamored for new varieties that would extend seasons, increase yields, look beautiful, or simply be wonderfully different from anything seen before. The road from the nineteenth-century farm to twenty-first-century agribusiness is full of twists and turns, of course, but a good part of it passed straight through Luther Burbank’s garden. The Garden of Invention is a colorful and engrossing examination of the intersection of gardening, science, and business in the years between the Civil War and the Great Depression. Read more about the book and author at the official The Garden of Invention website. Jane S. Smith is an independent author and Adjunct Professor of History at Northwestern University. Her books include Patenting the Sun: Polio and the Salk Vaccine, winner of the Los Angeles Times Book Prize for Science and Technology; Elsie de Wolfe: A Life in the High Style, the biography of the pioneer decorator who turned good taste from an attribute into an industry; and Fool's Gold, winner of the Adult Fiction Award from the Society of Midland Authors. The Page 99 Test: The Garden of Invention. Today's feature at the Page 69 Test: Hypersonic Thunder by Walter J. Boyne. The jet age began in 1939 with the brief hop of a secret German airplane. Seventy years later, the entire world depends upon the jet engine in every sphere - political, military, economic, and social. In Hypersonic Thunder, Walter Boyne weaves an intricate story of how the jet engine changed aeronautics and astronautics, pushing the frontiers of flight forward and permitting humankind to enter the space age. Drawing on his knowledge of the period, Boyne paints a gripping picture of jet aviation from the brilliant supersonic Concorde to the coming challenges of hypersonic flight. Using the fictional Shannons as a vehicle, the author ranges the world of aviation, combining the triumphs and tragedies of great aviation companies with the familiar conflicts of family life. All of the great names of aeronautics and astronautics appear here as they did on the historic scene, including such luminaries as Howard Hughes, Kelly Johnson, Burt Rutan, and Steve Fossett. The book thunders with the clash of combat, ranging from the courageous fights of the Israeli Air Force down through the raid on Libya, Operations Desert Storm and Iraqi Freedom, and, most important the ongoing war on terror. And space is not neglected, as Boyne covers everything from Skylab and the Space Shuttle, with its great achievements and terrible tragedies, to the International Space Station. Visit Walter J. Boyne's website. The Page 69 Test: Hypersonic Thunder. Award-winning screenwriter and director James Toback named a best books list of six favorite literary works that have figured into his films. Notes From Underground by Fyodor Dostoyevsky (Dover, $4). In my screenplay for The Gambler, I gave college professor Axel Freed (James Caan) the chance to read from and analyze Dostoyevsky’s dark, hilarious novella, which advances the notion that man maintains his humanity by reserving the right to insist that two and two equal five precisely because it has been rationally proved that two and two equal four. Freed’s lecture sets the stage for his dual nature—academic and compulsive gambler. Read about another work on Toback's list. At the Guardian, novelist Brian McGilloway named his top ten modern Irish crime novels. 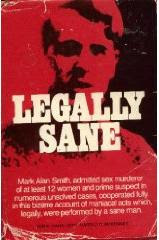 Declan Burke is single-handedly supporting Irish crime fiction at his site www.crimealwayspays.blogspot.com but he is also a terrific crime writer himself. The Big O charts the relationship of armed robber Karen and her new lover Ray. Throw in an ex-prisoner looking to set up a support group and a wolf called Anna and you have some sense of a novel which recalls Elmore Leonard at his best. Read about Number One on McGilloway's list. The Page 99 Test:: The Big O (Irish edition). The Page 99 Test: The Big O (US edition). Today's feature at the Page 69 Test: Manna from Hades by Carola Dunn. Eleanor Trewynn is a widow of some years living in Port Mabyn, a small fishing village in Cornwall, England. In her younger days, she traveled the exotic parts of the world with her husband. These days, she’s retired and founded the local charity shop. Her niece, Megan Pencarrow, transferred nearby, and was recently promoted to the rank of Detective Sargent. Perhaps the only downside is that she is now working for a DI who doesn’t approve of women on the police force and who really doesn’t much approve of Megan’s aunt Eleanor, as she is something of a thorn in his rather substantial side. All of these factors collide when, the day after collecting donations, Eleanor and the vicar’s wife find the dead body of a longhaired, scruffy-looking youth hidden in the stockroom of the charity shop. Then they discover that some donated jewelry thought to be fake is actually very real, very expensive, and the haul from a violent robbery in London. Making matters more complex, the corpse found in the storeroom is apparently not one of the robbers. Manna from Hades is a confounding case of daring theft, doublecross, and a wily older woman confronted by a case of murder most foul. Visit Carola Dunn's website and Facebook page, and her group blog, The Lady Killers. The Page 69 Test: Black Ship. The Page 69 Test: Manna from Hades. Pg. 99: Antoine Bousquet's "The Scientific Way of Warfare"
The current feature at the Page 99 Test: The Scientific Way of Warfare: Order and Chaos on the Battlefields of Modernity by Antoine Bousquet. Beginning with the Scientific Revolution and concluding with today's terrorist networks, Antoine J. Bousquet advances a novel history of scientific methodology in the context of the battlefield. For centuries, scientific conceptual frameworks have been applied to theories of war, particularly with the invention of such influential technologies as the clock, the engine, and the computer. Conversely, many scientific developments have been stimulated or conditioned by the experience of war, especially in the wake of the unprecedented technological and industrial effort of World War II. Marked by an increasingly tight symbiosis between technology, science, and conflict, the constitution and perpetuation of this scientific way of warfare are best understood as an attempt by the state to turn violent aggression into a rational instrument of policy. In his study, Bousquet explores the relative benefits (such a unique chain of command to safeguard the use of nuclear weapons) and decentralizing (such as the flexible networks that connect insurgents) military affairs. He then follows with specific scientific approaches to war: mechanistic, thermodynamic, cybernetic, and "chaoplexic," a network-centric theory allied with the non-linear sciences. Learn more about The Scientific Way of Warfare at the Columbia University Press website, and visit Antoine Bousquet's faculty webpage at Birkbeck College, University of London. The Page 99 Test: The Scientific Way of Warfare. Now showing at My Book, The Movie: Easy Innocence by Libby Fischer Hellmann. Easy Innocence is a spin-off from the Ellie Foreman series. It is a dark, disturbing tale about high school girls and what they are doing when they're not adequately supervised. It came out of Hellmann's experience with her own daughter, and what she imagined as "every mother's nightmare." My Book, The Movie: Easy Innocence. The current featured contributor to Writers Read: Dani Kollin, co-author of The Unincorporated Man. Visit Dani Kollin's blog and The Unincorporated Man website. Dani Kollin is an advertising copywriter currently living in Los Angeles, California. He has also worked as a creative director and copywriter in the print, broadcast and new media fields. Pg. 69: Stefanie Pintoff's "In the Shadow of Gotham"
Today's feature at the Page 69 Test: In the Shadow of Gotham by Stefanie Pintoff. Detective Simon Ziele lost his fiancée in the General Slocum ferry disaster—a thousand perished on that summer day in 1904 when an onboard fire burned the boat down in the waters of the East River. Still reeling from the tragedy, Ziele transferred to a police department north of New York, to escape the city and all the memories it conjured. But only a few months into his new life in a quiet country town, he’s faced with the most shocking homicide of his career to date: Young Sarah Wingate has been brutally murdered in her own bedroom in the middle of an otherwise calm and quiet winter afternoon. After just one day of investigation, Simon’s contacted by Columbia University’s noted criminologist Alistair Sinclair, who offers a startling claim about one of his patients, Michael Fromley—that the facts of the murder bear an uncanny resemblance to Fromley’s deranged mutterings. But what would have led Fromley, with his history of violent behavior and brutal fantasies, to seek out Sarah, a notable mathematics student and a proper young lady who has little in common with his previous targets? Is Fromley really a murderer, or is someone mimicking him? This is what Simon Ziele must find out, with the help of the brilliant but self-interested Alistair Sinclair—before the killer strikes again. With this taut, atmospheric, and original story of a haunted man who must search for a killer while on the run from his own demons, Stefanie Pintoff’s In the Shadow of Gotham marks the debut of an outstanding new talent, the inaugural winner of the Minotaur Books/Mystery Writers of America Best First Crime Novel Competition. Read an excerpt from In the Shadow of Gotham, and learn more about the book and author at Stefanie Pintoff's website. Stefanie Pintoff is the winner of the first Minotaur Books/Mystery Writers of America Best First Crime Novel Competition. A graduate of Columbia University Law School, she also has a Ph.D. in literature from New York University. The Page 69 Test: In the Shadow of Gotham. BookFinder.com's research came up with "the top 10 most sought-after out of print books in America in 2008." At the Guardian, John Mullan named ten of the best locks of hair in fiction. Byatt knows the Victorians liked their locks, and makes her plot turn on the discovery of a lock of hair in a grave. In the box that was buried with the great poet Randolph Ash, the eager researchers discover a bundle of letters, a bracelet and "a blue envelope containing a long thread of very finely plaited pale hair". They are sure they know whose hair it is, but the novel finally turns on the fact that they misidentify it. Read about another lock of hair on Mullan's list. Possession also made Christina Koning's list of the top six romances. The current feature at the Page 99 Test: How Rome Fell: Death of a Superpower by Adrian Goldsworthy. In AD 200, the Roman Empire seemed unassailable. Its vast territory accounted for most of the known world. By the end of the fifth century, Roman rule had vanished in western Europe and much of northern Africa, and only a shrunken Eastern Empire remained. What accounts for this improbable decline? Here, Adrian Goldsworthy applies the scholarship, perspective, and narrative skill that defined his monumental Caesar to address perhaps the greatest of all historical questions—how Rome fell. It was a period of remarkable personalities, from the philosopher-emperor Marcus Aurelius to emperors like Diocletian, who portrayed themselves as tough, even brutal, soldiers. It was a time of revolutionary ideas, especially in religion, as Christianity went from persecuted sect to the religion of state and emperors. Goldsworthy pays particular attention to the willingness of Roman soldiers to fight and kill each other. Ultimately, this is the story of how an empire without a serious rival rotted from within, its rulers and institutions putting short-term ambition and personal survival over the wider good of the state. Read an excerpt from How Rome Fell, and learn more about the book and author at Adrian Goldsworthy's website. Adrian Goldsworthy is the author of many books about the ancient world including Caesar, The Roman Army at War, and In the Name of Rome. He lectures widely and consults on historical documentaries produced by the History Channel, National Geographic, and the BBC. The Page 99 Test: How Rome Fell. The current feature at the Page 69 Test: Castle by J. Robert Lennon. In the late winter of 2006, I returned to my home town and bought 612 acres of land on the far western edge of the county.” So begins, innocuously enough, J. Robert Lennon’s gripping, spooky, and brilliant new novel. Unforthcoming, formal, and more than a little defensive in his encounters with curious locals, Eric Loesch starts renovating a run-down house in the small, upstate New York town of his childhood. When he inspects the title to the property, however, he discovers a chunk of land in the middle of his woods that he does not own. What’s more, the name of the owner is blacked out. Learn more about the book and author at J. Robert Lennon's website. The Page 69 Test: Castle. Last spring I had the good fortune to interview James Beard Award-winning Chef Donald Link for the inaugural post of the "Dining with Bacchus" blog. Link has also just finished a cookbook, due out in Spring 2009. The book is a compilation of family recipes rather than a restaurant cookbook. The chef developed these recipes at home: no cheating with restaurant cookware, super-hot stoves, and other accessories that amateur cooks usually lack. The only drawback to the process, Link says, is not having someone to wash the dishes. (He hates washing dishes. And waiting tables. He's done enough of both jobs in the climb to his current status.) Although the publisher is marketing the book as "real Cajun and rustic home cooking," the chef resists the "real" tag: he says he's uncomfortable defining "Cajun" for everyone. Link says he made an extra effort to make the recipes user friendly. Instead of merely stating how long a dish should cook and at what temperature, he calls, for example, for "cooking for ten minutes until the top bubbles" or "until the sides brown." Read the complete story of my visit to Link's flagship restaurant, Herbsaint. The book--titled Real Cajun: Rustic Home Cooking from Donald Link's Louisiana--is now available, and it features praise from the likes of Alice Waters, Anthony Bourdain, and Jimmy Buffett. The current featured contributor to Writers Read: Steven Zipperstein, author of the newly released Rosenfeld’s Lives: Fame, Oblivion, and the Furies of Writing (Yale University Press). Read an excerpt from Zipperstein's Rosenfeld’s Lives, and discover more about the book at the Yale University Press website. Steven J. Zipperstein’s is the Koshland Professor of Jewish Culture and History at Stanford, and has just spent two years at Harvard. He has written widely on Russian and East European Jewish history, and among his books are histories of the Jews of Odessa, and a biography of the leading intellectual of Zionism who was also its prime internal critic in the movement’s formative years, the essayist Ahad Ha’am. Zipperstein is now at work on a cultural history of Russian Jewry for Houghton Mifflin and Company. Learn more about Steven Zipperstein's scholarship at his Stanford webpage. For the Guardian, Alison Flood compiled a list of the top 10 most frequently stolen books. Rowling's reluctance to grant interviews as well as her donations to the Labour party has meant that the creator of Harry Potter has become an easy target - so it seems pertinent to remember that a considerable percentage of Rowling's income has helped to support charities such as Comic Relief, One Parent Families and the Multiple Sclerosis Society of Great Britain. Do you bookstealers feel guilty yet? 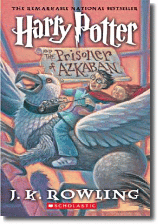 Harry Potter is also apparently a favorite of the detainees at Guantanamo. Today's feature at the Page 69 Test: Secret Son by Laila Lalami. Youssef el-Mekki, a young man of nineteen, is living with his mother in the slums of Casablanca when he discovers that the father he believed to be dead is, in fact, alive and eager to befriend and support him. Leaving his mother behind, Youssef assumes a life he could only dream of: a famous and influential father, his own penthouse apartment, and all the luxuries associated with his new status. His future appears assured until an abrupt reversal of fortune sends him back to the streets and his childhood friends, where a fringe Islamic group, known simply as the Party, has set up its headquarters. In the spirit of The Inheritance of Loss and The Reluctant Fundamentalist, Laila Lalami's powerful first novel explores the struggle for identity, the need for family, and the desperation that overtakes ordinary lives in a country divided by class, politics, and religion. Read an excerpt from Secret Son, and learn more about the novel and author at Laila Lalami's website and blog. Laila Lalami was born and raised in Morocco. Her work has appeared in the Los Angeles Times, the Nation, the New York Times, the Washington Post, and elsewhere. She is the recipient of a Fulbright fellowship and was short-listed for the Caine Prize for African Writing in 2006. Her debut collection of short stories, Hope and Other Dangerous Pursuits, was published in the fall of 2005 and has since been translated into Spanish, Dutch, French, Portuguese, Italian, and Norwegian. The Page 69 Test: Secret Son. Etgar Keret’s three-page story “Fatso”, about a guy whose girlfriend turns into a cheerful, chubby man every night. It still makes me laugh when I think of it. Hilarious, brilliant: read "Fatso" online or in Keret's collection, The Nimrod Flipout. Read about Etgar Keret's literary top ten. At the Guardian, John Mullan named ten of the best deserts in literature. More passion bred by the desert. "Propinquity in the desert. It does that here, he said." The mysterious character of the novel's title is a desert explorer pursuing a personal obsession. "There is, after Herodotus, little interest by the western world towards the desert for hundreds of years." This list would tell us otherwise. Read about another title on Mullan's list. The current feature at the Page 99 Test: Andean Cocaine: The Making of a Global Drug by Paul Gootenberg. Illuminating a hidden and fascinating chapter in the history of globalization, Paul Gootenberg chronicles the rise of one of the most spectacular and now illegal Latin American exports: cocaine. Gootenberg traces cocaine's history from its origins as a medical commodity in the nineteenth century to its repression during the early twentieth century and its dramatic reemergence as an illicit good after World War II. Connecting the story of the drug's transformations is a host of people, products, and processes: Sigmund Freud, Coca-Cola, and Pablo Escobar all make appearances, exemplifying the global influences that have shaped the history of cocaine. But Gootenberg decenters the familiar story to uncover the roles played by hitherto obscure but vital Andean actors as well--for example, the Peruvian pharmacist who developed the techniques for refining cocaine on an industrial scale and the creators of the original drug-smuggling networks that decades later would be taken over by Colombian traffickers. Andean Cocaine proves indispensable to understanding one of the most vexing social dilemmas of the late twentieth-century Americas: the American cocaine epidemic of the 1980s and, in its wake, the seemingly endless U.S. drug war in the Andes. Read an excerpt from Andean Cocaine, and learn more about the book at the publisher's website. Learn more about the author's research at Paul Gootenberg's faculty webpage. Paul Gootenberg, a former Rhodes Scholar, is a professor of Latin American History at Stony Brook University in New York. He wrote a number of notable academic books on Andean economic history before moving into the emerging and considerably more exciting field of global drug history. The Page 99 Test: Andean Cocaine.